Active humbuckers have a distinctive sound: powerful, clean, open-sounding, with excellent harmonic overtones and very tight lows. 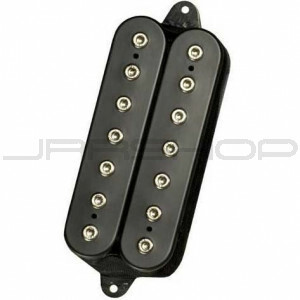 This also fits the description of a great 7-string pickup, if the problems associated with active pickups - sterile sound and limited headroom - could be eliminated. The D Activator 7™ models do just that. The Neck model has both power and clarity - the low “B” string stays solid and doesn’t sound like mud with extreme overdrive, and the high strings sing all the way up the neck. And it doesn’t need batteries.